Digsby is multi-platform instant messaging and social networking application which support Google talk ,MSN messenger ,Yahoo messenger ,Facebook ,MySpace ,Twitter etc on single desktop application . Digsby is also capable of checking email messages ,and to post status messages to above mentioned social networks . The advantage is of such an application is that we don’t need to different softwares and websites for opening and checking multiple accounts .Digsby recently introduced an online installation method like Skype , so the user need to internet connection to download and installation this applications . I appreciate this as this mode generates some revenue for them ,and thus make the application free of advertisements .But of course we need an offline installer for backup and at the non availability of an internet connection . 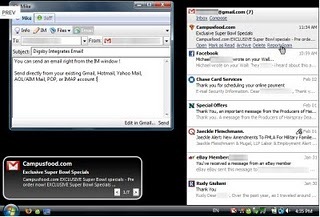 Chat with Yahoo messenger ,AIM ,Windows messenger and Google talk friends at the same time . Get notifications from chat friends and email services . Update Facebook ,Twitter and Myspace from desktop . Mange the email service from desktop and create email messages . Other than desktop application , Digsby also offer web based widget that we can in embed in website to interact with users . 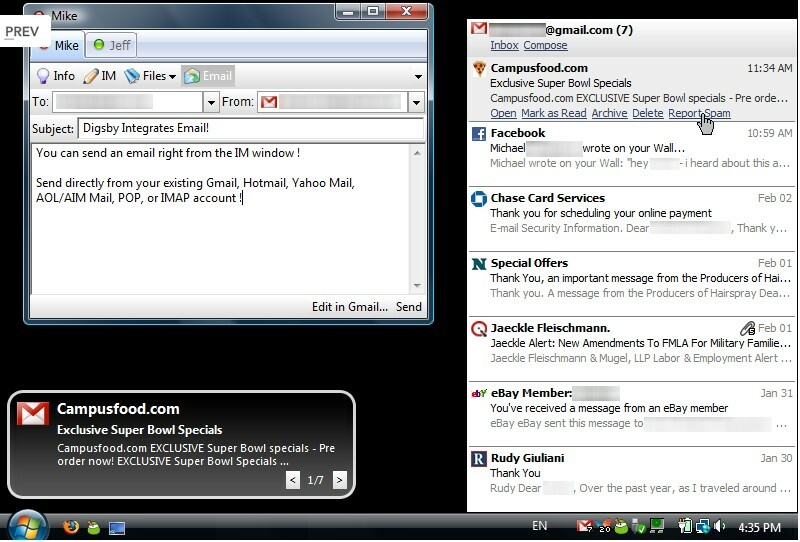 This is something like the Yahoo pingbox chat box application we reviewed earlier . Download Digsby offline installer (Windows). Alternate method to get full standalone installer of Digsby . In this method you need to download the offline installer of Digsby and continue installation via online method . After online download ,before installation , open run command and type “temp” .Now move down through the folders t get full offline installer of application .